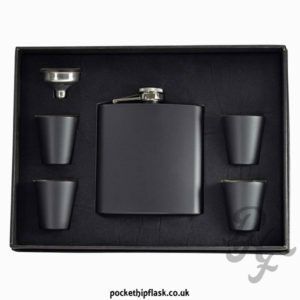 This is a beautifully made round shaped hip flask. 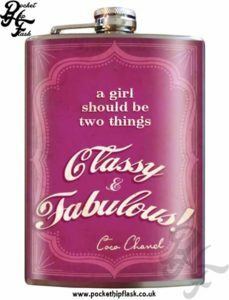 This spirit flask has a beautifully decorated floral design on the front. 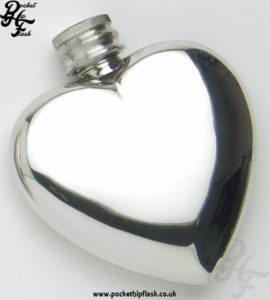 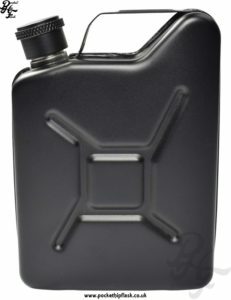 The design has been pressed from the inside out so the image comes out of the flask. 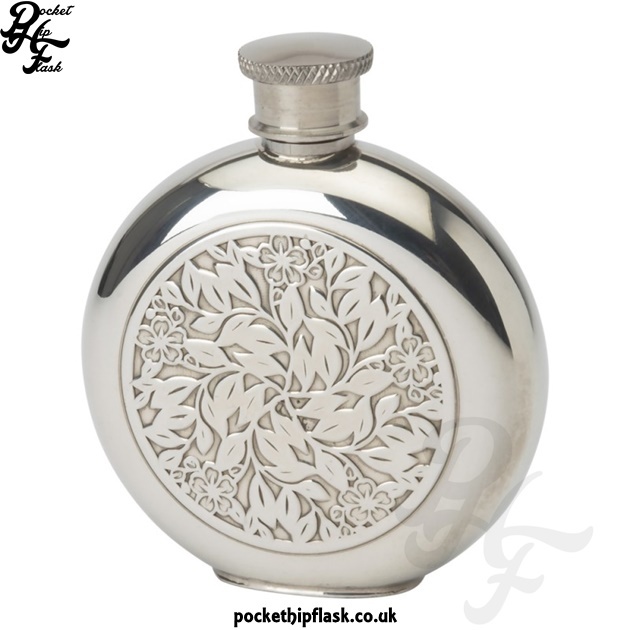 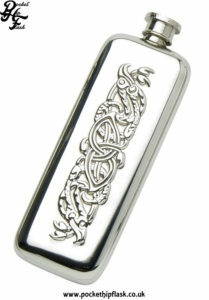 Pewter hip flask handmade in the UK complete with flower design. 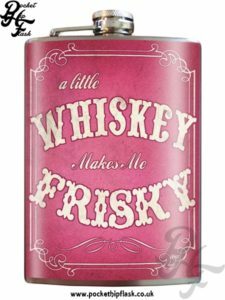 This 4oz round flask is perfect for engraving, making the perfect personalised gift.